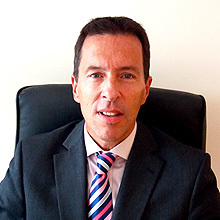 Simon Banks, the owner of Charles Banks, has been an Estate Agent in Barnes since 1983. Initially joining Sturgis Estate Agents and fast becoming Area Director of their Barnes and East Sheen branches, he left in 1988 to join central London Estate Agents Friend and Falcke. Simon ran their Barnes branch for sixteen years and became a director of the company before deciding in 2004 to leave and co-found his own business, Charles Banks & Rea. This company name changed to Charles Banks in 2008 after Simon became sole owner of the business. Three decades of working solely in the Barnes property market has given Simon a unique insight into the area and what locals expect from their Estate Agent. He has built up an extensive network of loyal clients and wide ranging property related experience. He loves his job as much now as he did in 1983 and sums it all up by saying ‘The combination of working in the Village with loyal clients and a talented team, never fails to make me smile’.